One of the many great reasons to invest in solar panels is the federal tax credit that is available to residential homeowners. The federal tax credit currently runs through the year 2021, so it's always best to be proactive to take advantage of this substantial savings, as you never know when Uncle Sam might change his mind. Given the many benefits of investing in solar, it is likely that there will always be some type of federal tax credit but it is still good to take advantage of this sooner rather than later. The current federal tax credit is for solar panels and solar water heaters. There are some requirements to take advantage of these credits, and these are outlined on Energy Star's website here. It is important to make sure you are dealing with an experienced and reputable solar contractor who will not only install an exceptional solar system for your home or business, but also a contractor who fully understands all of the tax advantages that you can utilize to maximize your investment. TEO Solar has been servicing solar clients for more than three decades, and we have vast knowledge and experience with all available tax credits. New or Existing Residential Home? Also, these tax credits are not limited to new construction. The federal government wants to incentivize homeowners to invest in solar products, so new and existing homes qualify for the tax credits, as well as primary residences and second homes. So if you have a second home out of state, that will work as well for the federal tax credit. 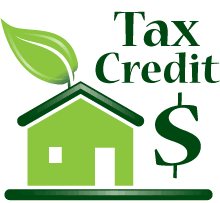 You can learn more about the details of the federal tax credit here. And you can always call your trusted local solar contractor at 386-437-2671 for more information and any questions that you might have. And of course when it comes to federal tax credits the IRS we'll have their role to play as well. When applying for your credit you will have to complete the applicable IRS form, and we can help you with this process as well, although it is always best to work directly with a CPA to ensure you're getting the latest aunt updated tax advice. You can find the applicable and relevant IRS forms by clicking here, and the tax form for a solar tax credit is Tax Form 5695. Again, it is always best to consult with a qualified Certified Public Accountant (CPA) for professional advice. The federal tax credit is a great incentive to invest in solar products now to improve the energy efficiency of your home, which has many benefits to include lower power bills, reduced carbon footprint, and being a friend to our beautiful mother Earth! Call TEO Solar at 386-437-2671 with any questions that you might have regarding federal tax credits. We would be happy to walk you through the entire process, and we also install the finest solar systems in Daytona Beach, Palm Coast, Port Orange, Deland, and the surrounding areas.